This chatbot could revolutionize how we treat depression. Woebot, pioneered by Alison Darcy, a clinical psychologist at Stanford, is a conversational agent — a chatbot — that uses Cognitive Behavior Therapy (CBT) principles to treat depression. Darcy developed it to combat the poor adherence people usually have with web-based apps for depression and also as a way mitigate the cost and inconvenience of mental health treatment. Woebot combats depression mainly by identifying negative self-talk and all-or-nothing thinking as it exchanges messages with you via your smartphone. For example, if a a patient typed, “I’m useless at everything,” Woebot would counter by replying that this may be just a single instance of failure and then help the patient identify self-loathing patterns. The trial for the project took 70 individuals between 18- and 28-years-old who were randomized to receive Woebot treatment or the National Institute of Mental Health ebook, which served as a control. The results were definitive. While Woebot is not designed to replace traditional therapeutic methods, it adds an instrument to our toolbox for fighting depression. According to the Anxiety and Depression Association of America, depression effects 18 percent of the population over 18-years-old, making it one of the leading causes of disability in the country. Tools such as Woebot can improve these people’s lives, and help ease a little strain from the psychology industry’s finite resources. 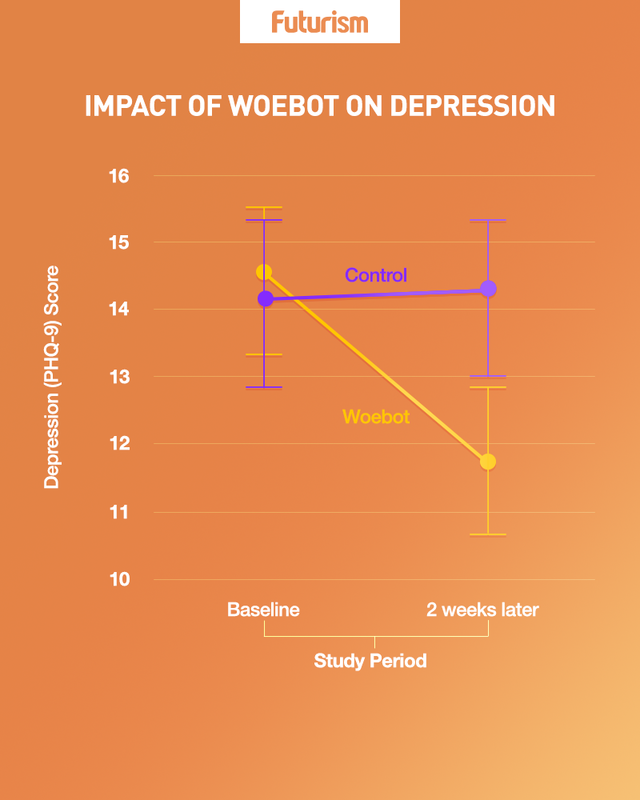 Woebot is an example of the promising intersection between technology and psychology that can help treat depression — other examples include virtual reality. Recently, there have also been promising developments in diagnosing depression, with scientists finding its physical source in the brain and using artificial intelligence to identify it through speech patterns. 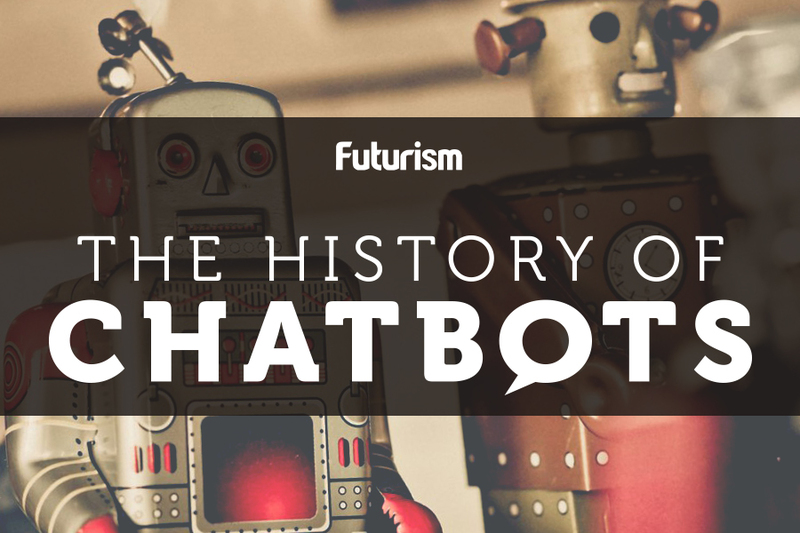 It is also emblematic of the increasing integration of chatbots into our society for humanitarian ends. Chatbots have also been used, with promising results, to improve the lives of thousands by providing legal help to refugees and helping doctors with diagnoses in the medical sector.